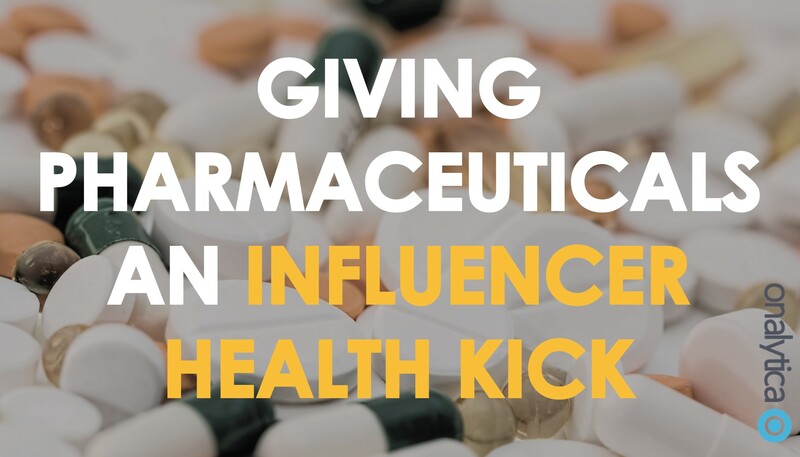 It is well documented that a great number of Pharmaceutical and Life Sciences brands often partner with celebrities to help spread key messages, increase their brand awareness and ultimately to get their products off the shelves. Kim Kardashian’s Instagram faux pas in 2015 sent shivers down many a marketers’ spine within the Pharma industry. So much so that a whole three years later, many Pharma brands are still yet to scrape the surface in paid influencer marketing, nor are they leveraging the huge potential a well-run, well-governed, organic influencer program can provide. While there is no direct evidence that the FDA’s action (see below) had an adverse effect on other Pharmaceutical and Life Sciences brands, the unique rules and regulations that these brands have to adhere to is likely to limit their use of influencer marketing. In an increasingly digital age, why should Pharmaceutical brands sit up and listen to the conversations around their products and medicines? The walls crumbled around the paid, celebrity-led influencer campaigns in 2015 when the FDA reprimanded Kardashian for posting an image on Instagram endorsing a prescription drug without listing the side effects. The post was removed and re-posted with the hashtag #correctivead. Retrospectively, the ad itself was successful in raising brand awareness (albeit negative) and conversation about the drug spiked at 500%. People were talking about the drug three times more than its nearest competitor. While the outcome wasn’t entirely as desired, these numbers speak for themselves in highlighting the huge potential that partnering with influencers can have. It has been well reported that circa 92% of people trust a recommendation from their peers above a recommendation from a well-known brand. It is getting increasingly harder to get noticed and heard on Social Media and so several brands have taken to paid influencer marketing as a means of increasing brand and product awareness. This is not influencer marketing. This is advertising. When engaging with a Pharmaceutical Brand, your customers, patients, key opinion leaders (KOLs) and Healthcare Professionals (HCPs) want a dialogue and not the monologue they currently get. Very few brands are really utilising social to create this. Celebrity and Pharma is clearly dying. Often described by marketers within Pharma and Life Sciences Brands as the ‘new wave’ in Social Media, micro influencers and brand advocates are being relied upon more by brands to talk about their products – and they are usually patients and users of the drugs themselves, as opposed to the mainstream celebrities. Within the pharmaceutical and life sciences space, Social Media Influencers (not celebrities) produced a 60% greater shift in brand perception measurements compared to any other kind of advertising content – this includes influencer advertising. Fierce Pharma reported earlier this year that several brands are yet to embrace this new wave of influence on Social Media. While traditional advertising such as TV and print are great at raising awareness of Pharma brands, Social Media influencers are an integral part of the longer-term strategy to target the middle and lower end of the sales funnel. Influencers ultimately pay a key role in the modern buyer journey and can drive metrics such as brand consideration and purchase intent. The main hurdle to the industry however, is time. Unlike other campaigns in FMCG or Technology, Influencers who are part of a Pharma Influencer Strategy need to opt-in for the long term. Patricio Robles at Econsultancy agrees that influencer marketing is certainly being mooted by the Pharma industry; the various legal and compliance elements required by governing bodies prolongs the process. It also comes with its own limitations. The extent of disclosure needed prior to pushing out a post means that content published by influencers naturally appears more branded and will not be looked on as favourably. Finding influencers that are willing to commit longer-term is also a challenge. Digiday’s Yuyu Chen, detailed at length the steps a weight loss supplement went to mobilise influencers to help it restore its image. The most alarming statistic here is that it took two weeks longer for the company to find the relevant influencers, largely due to the niche requirements from the weight loss brand. That said, once influencers were found, legal reviews were required before content could be published. It is safe to say that marketers, heads of brands and PR teams are facing an uphill struggle when it comes to organic influencer strategy. Pharma can have compelling and engaging influencer campaigns like the other big industries, but it requires a staged and pragmatic approach to achieve this. Firstly, consider who you want as influencers? Do you want to target everyday influencers that are already users of your products, activists and individuals that can raise brand awareness, or influencers that can help you target a specific demographic? One of the key things here is to focus on the four Rs of influence: Resonance, Relevance, Reference and Reach (Read more here: Identify your Target Influencers). Once you have identified your influencers, it’s a case of mapping the community and any regulatory hurdles you need to overcome to achieve your vision. How can these people push your message? Work closely with your regulatory team to define exclusion criteria to assist in the identification, vetting and selection process. It is also key to look at how content is approved and whether it can cope with last minute influencer content additions. Once you have identified and mapped your influencers, you then need to consider HOW you are going to work with them. How will they fit into your brand’s campaign, what channels will they be most prominent on and who will create the content and get sign off? You also need to determine the value exchange – how is the influencer going to benefit from working with your brand? It is important that this is an equal-value partnership in which the influencer, the brand and the audience are going to benefit. This doesn’t have to be simply paying the influencer or gifting the influencer free products. Influencers are also interested in things like access to new audiences, exposure and experiences that they can share with their audience. Getting to this stage is no mean feat and once you are there you will need to develop a process to manage the influencers through an influencer program (Read more here: How to Run a Successful Influencer Marketing Program). A large part of the process is finding the right influencers who have the product experience and affinity for a brand. In summary, Pharma is lagging when it comes to running successful organic influencer campaigns. The key here is to map out challenges and regulatory hurdles from day one and use the four Rs framework to identify your key influencers. Our marketing team and analysts are hard at work on a Healthcare sector report launching in October 2018. If you want to hear more about our upcoming report register your interest in the form below, to be first to know once the report is ready. Taz is the Business Development Director at Onalytica and is leading the Pharmaceutical and Life Sciences Division. 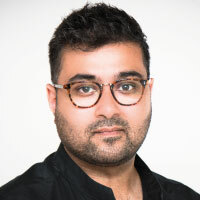 He is passionate about ensuring Brands appreciate the true power of organic influencer marketing and is committed to helping clients and teams win with their influencer programs to increase their brand awareness and drive demand. Specialities include: Marketing Strategy, Social Media Marketing, Influencer Marketing, Strategic Planning and Consultancy.